Gye-Nyame Journey: I Have Taken A Sip From The Future......... And It Taste Like Mead! I Have Taken A Sip From The Future......... And It Taste Like Mead! That's right Brother ha2 is talking going into the spirit business, I have been experimenting with fermenting and I have stumbled onto an ancient drink called mead. Many people in this modern day and time is not familiar with this drink so let me give you a little information about this gift from the universe. One day I was going through some books on my audible account, and figured I wanted to try something new. So I stumbled on this book called the "Carnivores Dilemma" an excellent listen. Now to be truthful if I had to sit down and read the book more than likely it would not have happened, But thank God for modern technology. I downloaded the book and listened to a story about a Man that asked a simple question "Where do our food comes from", and in answering the question he discovered and shared some shocking insights about the food we consume. The major point that brings us to the reason that I am writing this blog, is that he decided to create a meal from scratch. I'm not talking about going to the grocery store and getting the ingredients, I am talking about creating a meal that he had put together from hunting the meat, to growing the vegetables, and etc.. Well somewhere in his discussion he started talking about foraging for mushrooms. I have always wanted to learn about mushrooms so I decided to download a book about that, but in that process I ran across a book called the "Fermenters Bible", so I downloaded that one instead, I figure it was about canning and one of my goals for this year was to grow a garden, and I wanted to know how to preserve my own food, so I took my one credit, and purchased that book. This turned out to be one of the best investments that I have ever made. 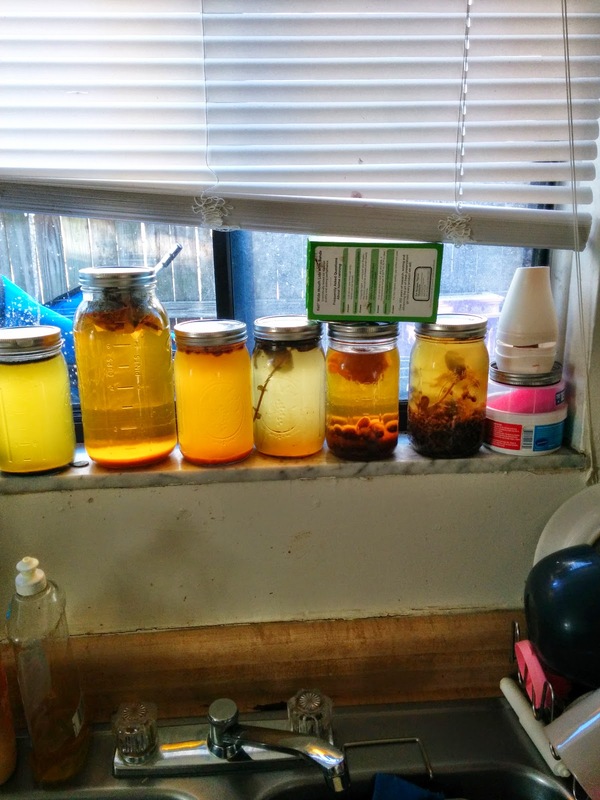 In the book the author exposes the reader to the power of fermenting which is different from the process of canning. In fermenting you actual change the food by the use of natural or in some cases unnatural yeast to preserve it as well as to change the the structure and the taste. Early in the book he mentioned the process of making wine, and beer. He gave instruction on how to make mead which was simple. I bought some mason jars and got busy. I first made my own pickles, then pickled beats, kimchi and then salsa. From there I decide to do some mead and got hooked. Mead is nothing but honey and water. With the honey and water you can use the honey they sell in the stores, but that honey is dead. What I mean by that is that the honey that they sell in stores has been processed with heat to kill all the life in it, and it is basically liquid sugar with almost no nutritional value (that is my opinion). When you use on processed honey like our ancestors you have found a tool for healing that is unrivaled in this world. Look up the power of raw honey and you will be amazed of what you are being robbed of. Within raw honey their is enough natural yeast to start the fermenting process. With a little bit of shaking you will be surprised how quick it begins. Now in my research i have also discovered that within the process of fermentation that the healing properties of the honey is not lost. So basically I have stumbled a product that can get you drunk and healthy at the same time. The best part is that the alcohol produce in the process also extracts the healing properties of the other ingredients as well. Now mead is basically one of the oldest if not the oldest alcoholic beverage in history, that our ancestors stumbled upon by letting honey get wet. 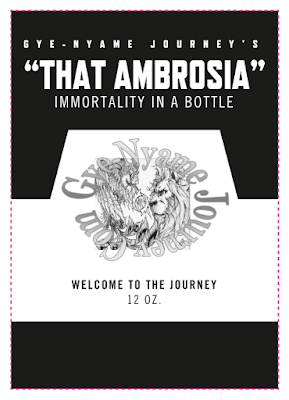 This drink has been known by many names throughout history, the one that caught my eye was Ambrosia. Ambrosia for those of you that are not a mythic nerd like myself was described by the Greeks as the drink of the gods. Ambrosia was also used historically to relieve all types of health issues, and was also famous for being an aphrodisiac. In fact the term honeymoon comes from the period that newly weds were given this drink for a whole 28 day cycle to sweeten up the relationship and to help promote child bearing. Simple put this drink is the bomb. so the future is looking bright, and on top of that I will be able to eventually get my own be hives, grow my own herbs and fruit to be used and ship internationally eventually. I know you are reading this and probably thinking that I am over confident, but I recently went to a meadery and sampled the product, and was unimpressed. The mead tasted just like dry wine, and I don't believe that is what mead is supposed to do. I also tasted a hint of yeast from grapes, Of course if you want a strong alcoholic content you will have to let it sit for a while, but part of the beauty of honey is the sweet taste. I plan to produce product that is somewhere in the middle where everyone can win, those that want to get drunk can do that and those who want the health in the body can do that as well. To put it simply I'm going into the mead business, so get your glasses out because in the next 10 years we will be able to do our tribal toast "1hunidyears" in our own establishment.